It is said that the pencil we use today was invented by German chemist Farber in 1761. While for us it is not that important to investigate the pencil's history, there is no doubt that it is a widely used tool in our daily life. Particularly for the artist, there might not be any tool more convenient than the pencil is in their lifetime. 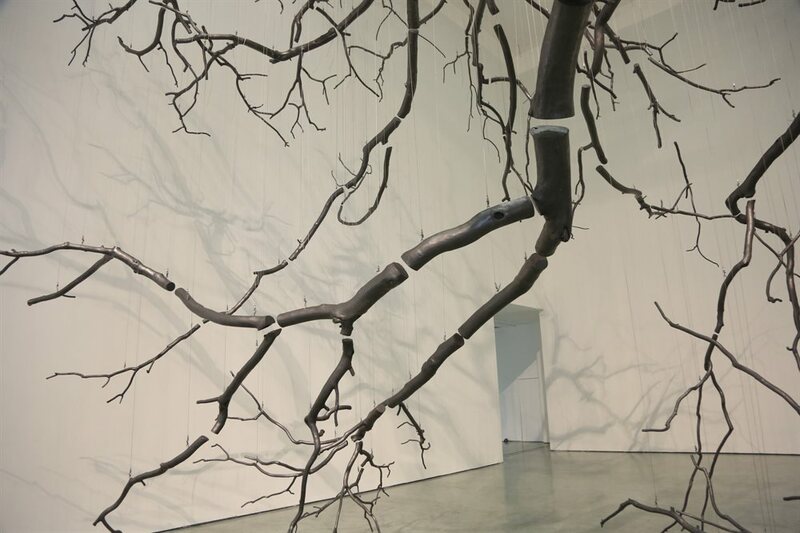 Since 2007, all of Meng Baishen's artistic endeavor has been related to pencil. In childhood we might surprise ourselves by daubing a piece of paper on a coin to produce a sketch, that could last for generations. It is indeed the original inspiration of Meng Baishen. every day when he was a youngster, popular songs from HK and Taiwan like Cloud in my Hometown and work of the most popular singer in 2007, Jay Chou. He chose four army songs and several popular songs, engraved their scores and framed them on a board, then pressed paper on the board and daubed it with pencil evenly. After four months his first series was finished. It looked from a distance like a full blackboard, but when approached closer, lettering appeared. During this creation, the artist reviewed the changing journey of pop music, at the same time that he contemplated the truth of an era of change. Truth in reality might be also daubed. paper that covered the baseboards with pencil and exhibited the work as 1m*20m scroll paintings. 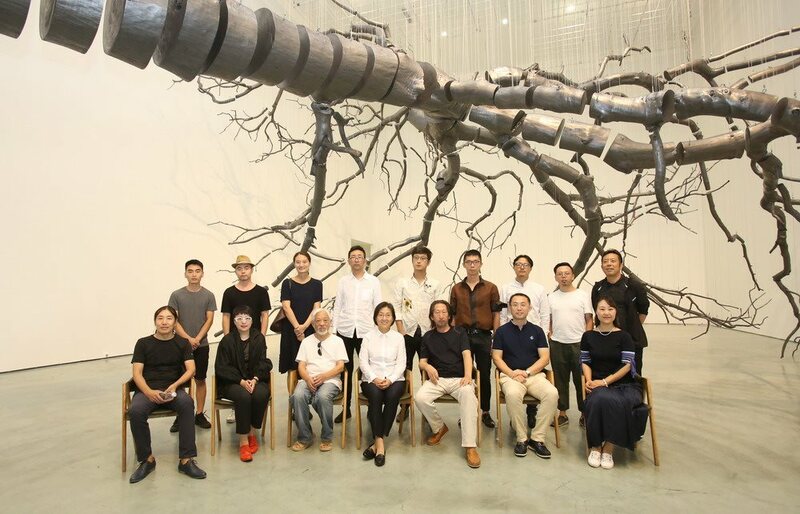 The artist treated the process as a microcosm of the evolution of different civilizations and cultures in Chinese society. When these classics were presented in Braille, impossible to understand for most audiences, this work also sneered at the contemporary cultural reality. The creation process was a self-tortured penance, as the artist said: "to experience devout faith through every stroke, a silence, a painting, a stroke are the mark of emotion, breath and pulse, are the process of life." a Dream" carved on 385 tablets in Tangut script by Tongqiang Mao. With the same thought, Meng Baishen created Change. He magnified the barcodes of the classics so that audiences could scan them randomly to get the relative information. After this work, he carved the“Three-Character Classic”in Braille on a bamboo tube, and daubed on it, and named it Blind Tube. Blind Tube was his final work of the classics series. With three-dimensional shape, Blind Tube implied his creation from graphic to three-dimension, installations and ready-made articles. 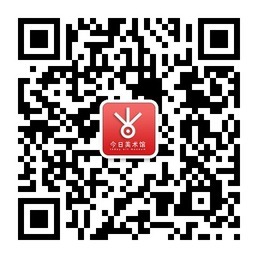 In 2013, he daubed several Chinese classical vasesand a pair of traditional arm chairs. We believe he chose these articles for his own and ready-made articles. In 2013, he daubed several Chinese classical vases and a pair of traditional arm chairs. We believe he chose these articles for his own notion of culture and reality, but as his audience, we could only see the daubed articles. No matter that the vase was blue and white, or contrasting color, how valuable the wood was, how beautiful the birch lines were. After daubing, all the original features were gone with only lividity and a faint light remaining. The new articles might be more precious than before, more mysterious, purer, more terse and lively. 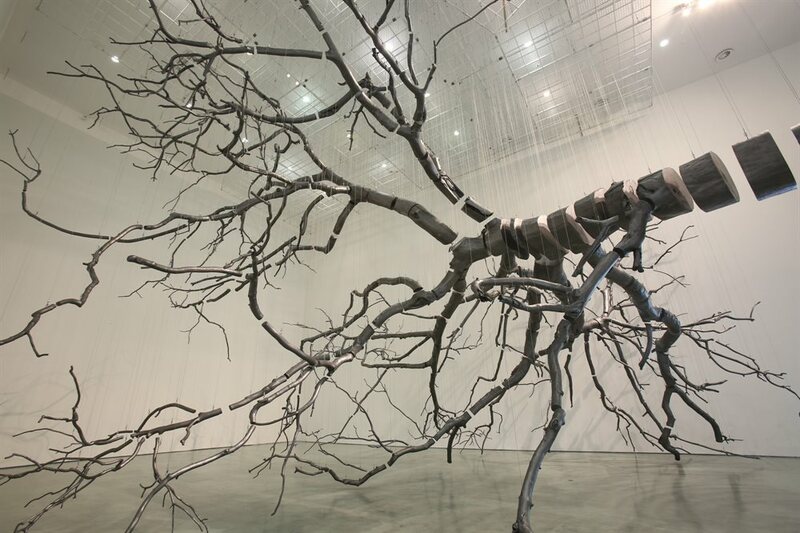 Meng Baishen also used pencil lead to create some installations. There was much difference among his works in categories and concepts. 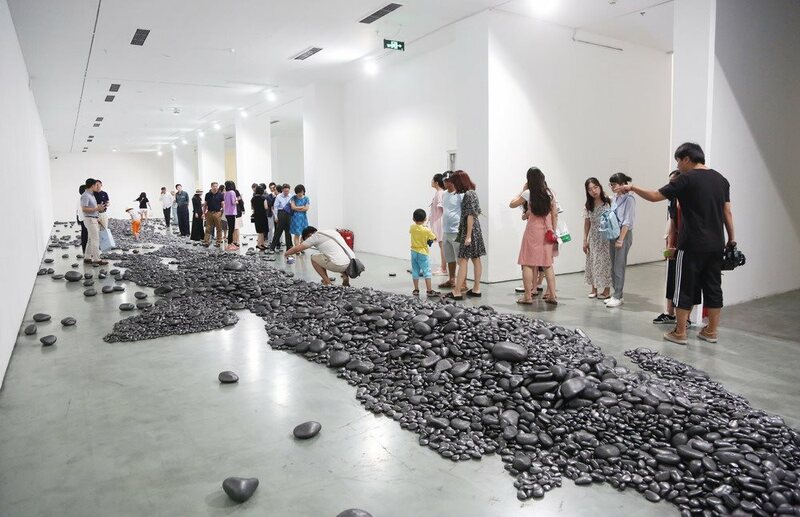 Some of them tended to be minimal art, such as a pencil lead made by hundreds of leads; some of them had a strong feeling of reality, such as "untouchable", a round installation like a huge coin, made by hundreds pencil leads, and had the words "Equality before the law" and "All power belongs to the people" written on it in Braille. What's interesting was that the artist made the alphabets convex in a concave void space. It fully blocked the possibility of recognition. Nobody could read it, even blind people, and everyone knew the nature of the taunt. But this work relied on introduction or guidance. I prefer those works without explanation, relying solely on feelings. From another perspective, the charm of works like comes from the material the core of a pencil, graphite's purity. An analogy of the present might be the association of hi-tech products with chips. 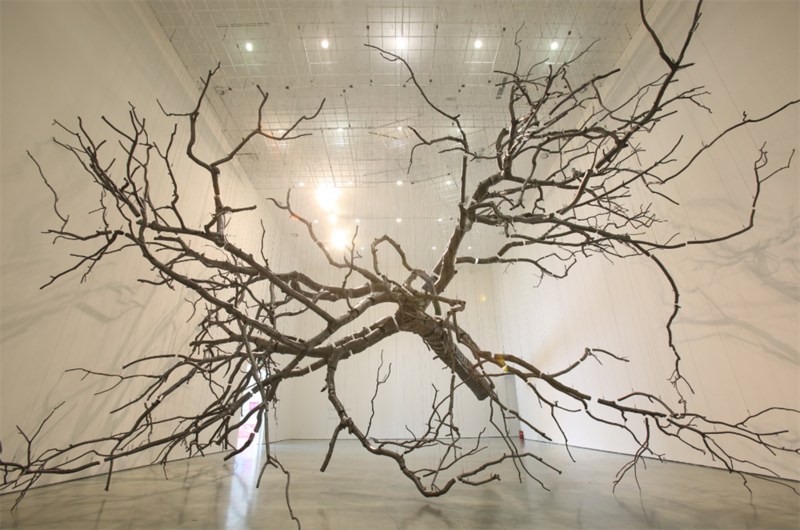 Meng Baishen is obsessed with pencil lead, focuses on it with great passion. We can tell he's in an aesthetic state. The pencil is his contemplation. 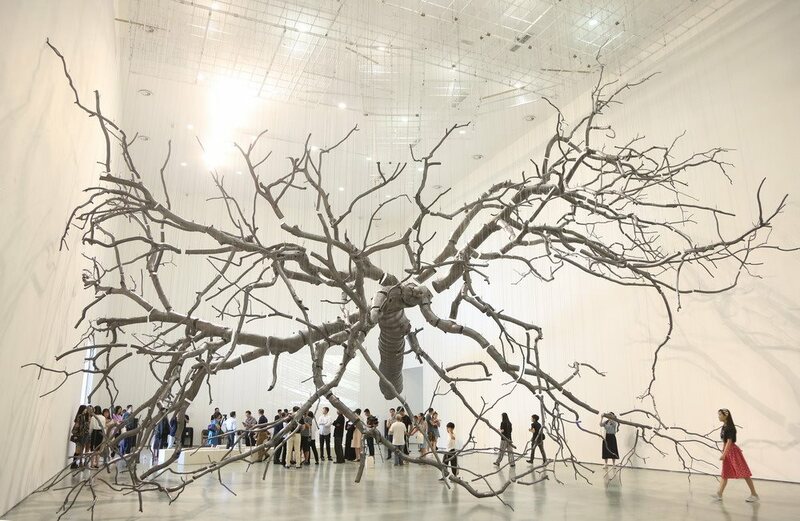 This time, we will only exhibit two large installations from Meng Baishen, Suspension and River. Over the last two years, it is seems that he has turned his focus to nature, but what he contemplates, concerns and narrates is still human itself.